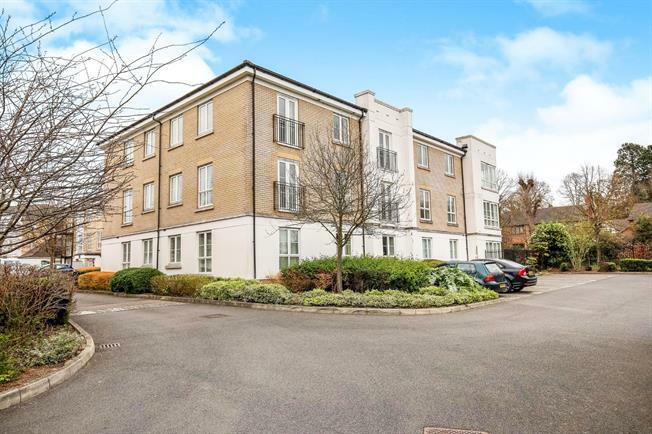 2 Bedroom Flat For Sale in Woking for Guide Price £260,000. This neat apartment is offered to the market completely chain free. Featuring a 20' dual aspect open plan living space with a Juliette balcony and a modern kitchenette, the hall entrance apartment also features ample storage with two cupboards in the main hallway. Accommodation is offered in two double bedrooms which share a traditional family bathroom, and the master boasts a built in wardrobe and opens up via Juliette French doors to fully exploit the outside space, flooding the room with natural light. This neat apartment is all ready to move into, and being chain free represents an attractive purchase.